The best damn rifles and silencers you’ll ever shoot. 25% off URS Mk5 and Mk7 SHOT 2018! 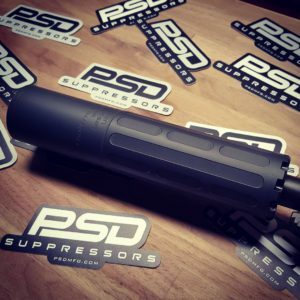 Our PSD-15 silencers are hand-built by skilled professionals in a precision machine shop environment in upstate South Carolina. And, we don’t mean a fashion statement on Instagram… You won’t find flashy colors, decorations, or unnecessary excessive machine work here. We’re all business. Sure our weapon systems look cool, but not because we tried too hard. Every PSD weapon system us engineered to “just work” when you need it most. When the fight is over, no one will remember who shot what or how cool it might have looked, they will only remember who lived. Fight with PSD, win the fight.